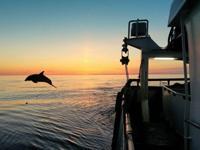 Established in 1986 by the Scottish Fishermen’s Federation (SFF), SFF Services (SFFSL) provides a range of vessel and personnel services to the offshore energy industries – oil and gas, offshore renewables, subsea cabling, decommissioning, and telecoms. 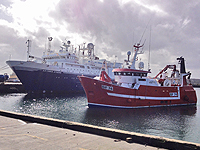 SFF Services Limited (SFFSL) provides the platform for fishing vessels to be used by the offshore industries, offering a flexible solution and a cost-effective alternative to larger vessel hire. 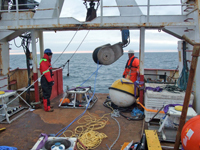 Vessels are used to undertake a range of services including guard vessel work, post decommissioning and debris clearance trawl sweeps, overtrawlability verification work and a variety of survey (including seismic support vessels and vessels capable of AUV and ROV deployment), and environmental monitoring (including oil spill response) activities. 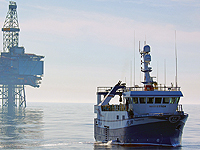 Offshore Personnel services such as Fisheries Liaison Officers (FLO) are commonly provided aboard Clients’ Construction Vessels and on Seismic Survey Vessels, to liaise with fishing and general marine traffic encountered during the course of operations with the aim of keeping any disruption to a minimum for all parties. 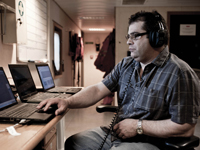 In addition to the FLO role, personnel are provided to undertake environmental work, such as Marine Mammal Observers (MMO) and Passive Acoustic Monitoring (PAM) operatives. 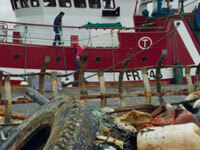 Onshore consultancy services are also available.